Summer is here and I can barely contain my excitement! 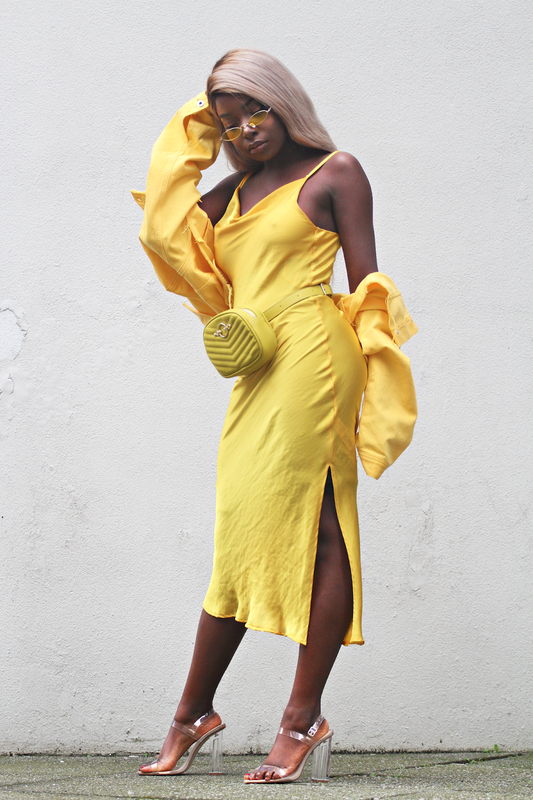 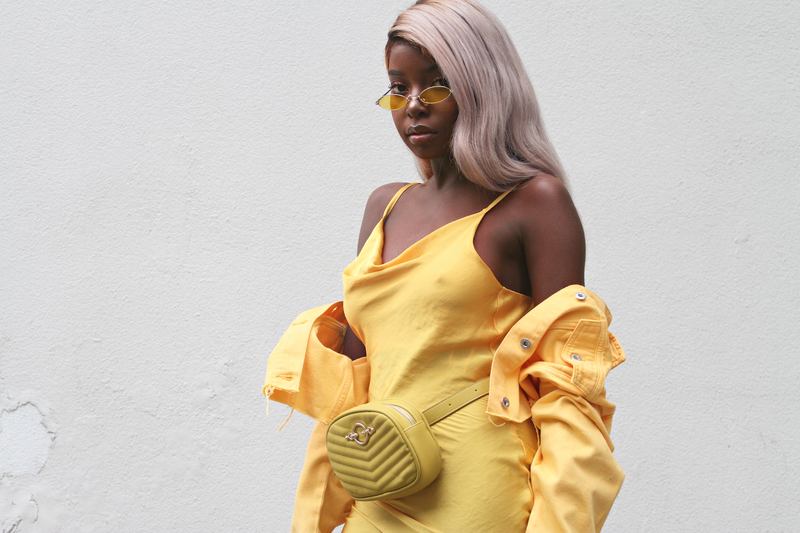 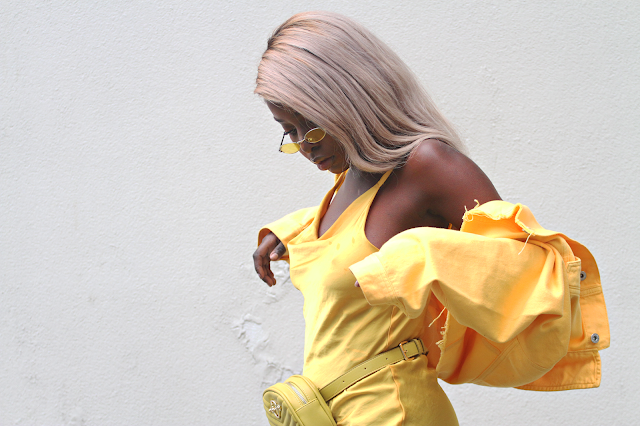 So what better way to symbolise the transition into the season of ' living our best lives' (which probably has become one of the most over used quotes by millennial's since 'you only live once' ) than an entirely yellow look. 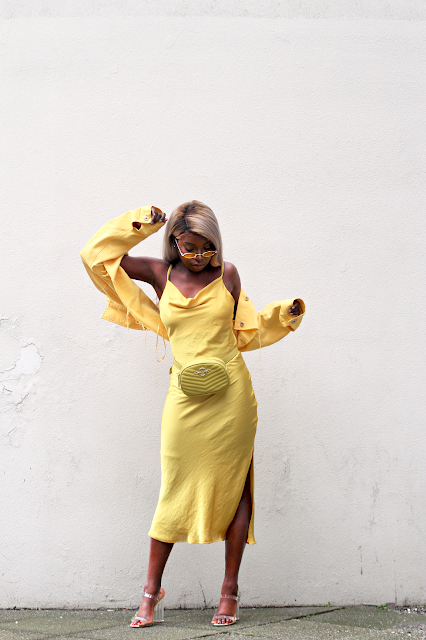 I started with this stunning satin dress from Topshop then the look took off from there and was completed with this season's must have accessory the bum bag and the thin sunnies. This pair in particular are apart of me and my sister's debut eyewear line shopglassi.com . 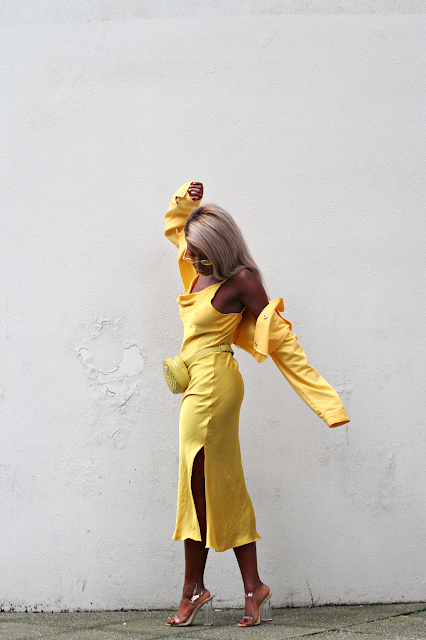 Check out our bomb site if you haven't already. Whole outfit is linked below with alternatives.